As 2019 comes hurtling towards us one company is going to breath a sigh of relief that 2018 will fade into the distance – Facebook. The House of Zuckerberg must be counting the hours until midnight of 2018 because this year has not been one that Facebook will want to remember. Mr Zuckerberg might be excused for echoing that statement in 2018. This year has been one that the house that Zuckerberg built would prefer to forget. However, a translating of the Latin phrase as ‘a year of disaster or misfortune’ perhaps is apt – the misfortune has however been largely of Facebook’s own making. 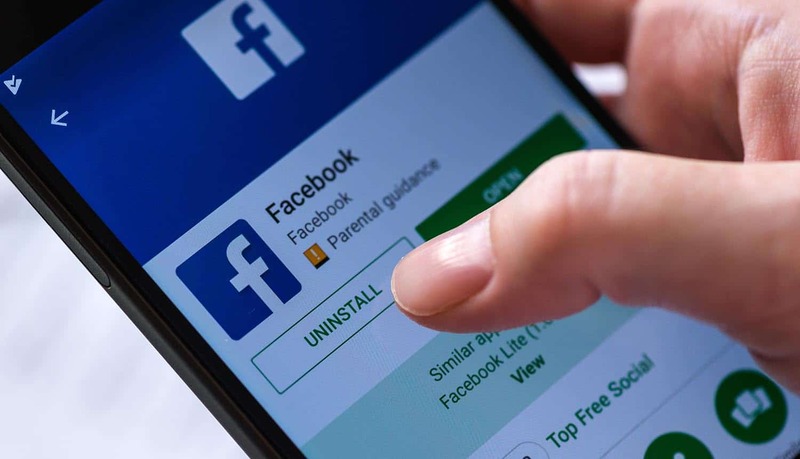 Let’s take a look back at the train smash of data breaches and privacy stumbles that have characterized Facebook’s experience in 2018. Facebook’s seeming indifference to its users’ right to privacy and the protection of their usage data was brought into sharp focus in 2018 with what has now been dubbed the Cambridge Analytica scandal. The now defunct Cambridge Analytica was a political consulting and strategic communication firm that provided data and advice to political parties and other influencer groups. Clients included the pro Brexit ‘Leave EU’ supporters and the Trump political machine during the elections that saw him eventually assume office. It later became public knowledge that Facebook had allowed (or at least turned a blind eye) to Cambridge Analytica’s harvesting of ‘personally identifiable information’ of around 87 million of its users without their knowledge or consent. I Fear Ghosts and Facebook: Is There a Way to Stay Safe and Secure Our Data? Cambridge Analytica was able to access user profiles due to what has been described as extremely lax safeguards protecting user data. Add to this an almost willful disregard of developer oversight (leading to developers abusing the Facebook API), as well as users agreeing to terms and conditions that could only be charitably called broad. Add these issues together and you have the components that caused a perfect storm of privacy violation. Delving deeper into just how Cambridge Analytica gained access to personal data reveals a startling fact. The company exploited the functionality of an app called ‘thisisyourdigitiallife.’ The information gathered allows companies to build ‘psychographic profiles’ of those users who downloaded the app. But even more startling was the fact that not only was information on profiles and user history gathered – but the app also allowed Cambridge Analytica to gather data on the users Facebook ‘friends.’ Clearly Facebook had not kept its eye on the privacy ball. Cambridge University researchers have claimed that the data “can be used to automatically and accurately predict a range of highly sensitive personal attributes including: sexual orientation, ethnicity, religious and political views, personality traits, intelligence, happiness, use of addictive substances, parental separation, age, and gender.” Clearly this was an enormous breach of the trust that Facebook users had in the company. In March 2018, Facebook threatened to sue The Guardian newspaper over publication of the story. Campbell Brown, a former CNN journalist who now is the head of news partnerships at Facebook, commented that the action “not our wisest move,” a masterful understatement. Cambridge Analytica also threatened to sue The Guardian for defamation. It became increasingly apparent that Facebook was making every effort to draw down a veil of secrecy over the Cambridge Analytica affair. However, the company failed dismally at the coverup attempt. Eventually Zuckerberg and Facebook COO Sheryl Sandberg were called to testify before U.S. Congress on how Facebook was dealing with data security and privacy issues. It must be noted that Congress was by no means impressed with either the testimony of Zuckerberg nor the transparency reaqlted to the issues of privacy and data security. This was not Facebooks finest hour. If users thought that Facebook would live up to its commitment to improve the protection of consumer data and respect privacy boundaries (as Zuckerberg claimed at the Congressional hearing) they were in for a rude surprise. In October 2018 Facebook revealed that the company had experienced a data breach that affected 29 million users. Hackers stole the data by using an automated system that migrated across users’ Friend network. The effect of the hacking attack was to make users much more vulnerable to targeted phishing attacks.